Manish Agarwal joined Kotak Mahindra Bank in 2007 as Vice President Interactive & Innovation. His responsibilities are to provide Direction & Strategy for using the ever changing interactive channel ( Internet & Mobile ) and leverage the same for every aspect of the business and create visible differentiation in the mind of consumers. Manish Agarwal is based in India and has over 19 years experience in sales & Interactive Services with prior stints with ICICI bank, where he spear headed two critical projects – One with World Bank & IBM to launch an Online tool for information, mentoring & business for Small & medium Enterprise and other of Go Green where customer were driven to E Channels to save environment. 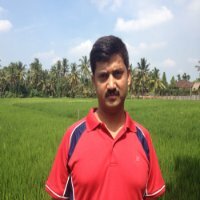 Prior to this Manish has worked with the first & biggest internet company in India – SIFY, where he was in business development function of web based solutions. Manish is a sough- after speaker on IT, social media, new age technology & embracing the next generation. As a national speaker on IT issues, he has spread the message of innovation with thought-provoking insights into the future of web technology and the shape of things to come. He holds a Master in Business Administration and Bachelor degree in Economics.